I'm abandoning the "Awesome List" title for news round-ups. 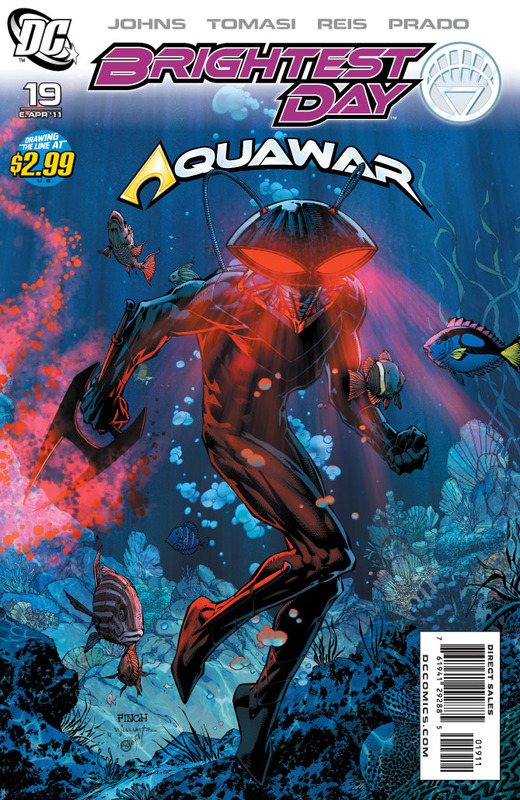 Sometimes stuff isn't awesome, but I want to talk about it anyway (see: the way DC's handling its Aquawar storyline). I hear ya. My comics info is all from online sources now, I just don't have the urge or need to go and buy the comics anymore. Does that make me a pseudo-fan or something? The "Emperor Aquaman" mini looks interesting, however. Yeah, it does. The Wonder Woman and Lois Lane ones sound cool too. The Flashpoint backlash on some blogs is confusing me. Comics are pretty simple; pick up the ones you want, ignore the ones you don't. These are all ties ins that will expand parts of the story, the main plot of Flashpoint will still be in that book. Did someone force these people to buy every Blackest Night related comic? 1. People will complain about them. 2. They will also buy them. This will be true until folks learn to communicate with their money as well as their mouths. There's absolutely nothing wrong with being the kind of fan who wants to collect every comic that DC and Marvel say "matters." That's a cool hobby if you can afford it. But people who choose to be that kind of fan have given up the right to have their complaints about it taken seriously.